If your child is fascinated by the night sky and all of its stars and planets, he'll love these year six Earth and space science worksheets. Your ten- or eleven-year-old student will explore craters, asteroids, and eclipses in our space worksheets, and geodes, hurricanes, and plate tectonics in our Earth science worksheets. The water cycle plays a big role in weather patterns. colour this water cycle chart and get familiar with this cycle at work. 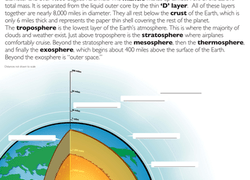 Learn all about the centre of our universe with this handy diagram worksheet. Make sure to hold onto it for easy test prep in the future! Do you know how clouds form? Get the basic idea of how moisture in the air can become a cloud. A fill-in-the-blank exercise on tornadoes, made for year six science students. If Dorothy had lived a little further south, she might have been swept away to Oz by a hurricane. Many kids might think they know what "hot lava" is from watching a cartoon, but do they know geode formations? They will if they compete this quick worksheet! What is Pluto? According to scientists... no, not quite. Find out more behind the answer to that age-old question. Did you know there are clouds in space? They are very different than the ones on Earth! Read a bit about nebula in this space science worksheet.